As Haas' Strong Start Continues, Why Has F1 Fallen out of Love with Sauber? Since Romain Grosjean crossed the line to finish sixth in last month's Australian Grand Prix, allowing Haas to score points in their very first race, the flow of positivity emanating from Formula One's latest new team has barely halted. "Guys, listen to me, this is a win for us! This is a win!" Grosjean yelped over team radio on the cool-down lap at Albert Park as one of his mechanics—fresh from leaning over the pit wall in celebration—unzipped his fireproof overalls to reveal a t-shirt that read: "Have no fear, Haas F1 Team are here!" Indeed, even the fears expressed by Williams' Pat Symonds, who told Motorsport.com Jonathan Noble how Haas' instant success—aided by their intimate technical partnership with Ferrari—risked eroding the status of fully independent "constructor" outfits, could not bring them down. Team owner Gene Haas responded by telling Noble his approach of purchasing as many Ferrari-built components as possible is no different to that adopted by teams, including Williams, who compete with power units supplied by major manufacturers. Grosjean supported his boss by claiming the VF-16, this grey assortment of Ferrari and Dallara parts with only 57 racing laps to its name, was already "one of the best cars" he has "even driven," per ESPN F1's Nate Saunders. The Frenchman went a step further after taking another "win" at last weekend's Bahrain GP. 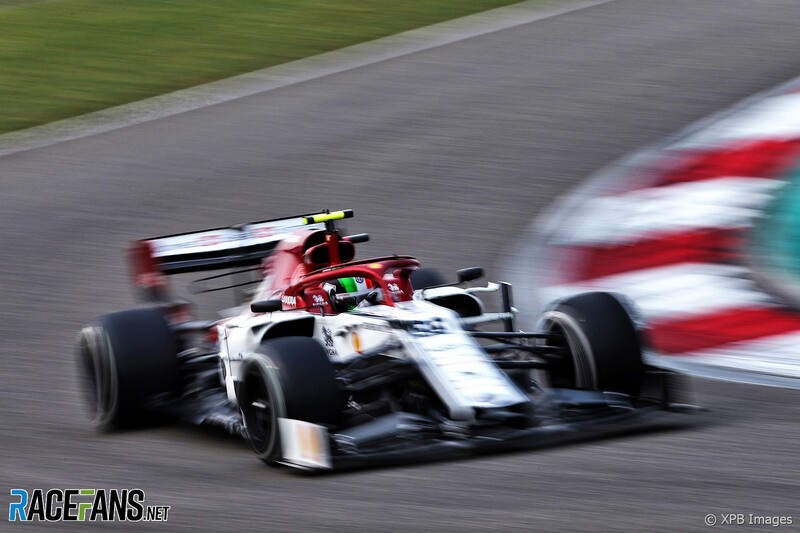 "This is the American dream," he declared after finishing an "unbelievable" fifth, per the team's official website, ensuring Haas have more points after the opening two races of the year than the six teams below them in the constructors' standings combined. As Grosjean and his new colleagues are busy pinching themselves in dreamland, however, the other Ferrari-affiliated team on the 2016 grid are in the firm grip of a nightmare. From the moment it emerged in January that their new car would not appear until the second of two winter tests, Sauber had been expected to make a sluggish start to the season, yet their performances thus far have been worse than first envisaged. After the disappointment of Australia—a race encapsulated by the adventures of Marcus Ericsson, who received a drive-through penalty when his mechanics struggled to dislodge a tyre blanket ahead of the restart before suffering a terminal drivetrain issue—the team's problems became increasingly alarming in Bahrain. The tone was set on Friday evening, when Monisha Kaltenborn was a notable absentee from the team principals' FIA press conference. As reported by Sky Sports' Ted Kravitz, those who fail to appear at the governing body's media gatherings are normally punished with a fine, but this time the FIA—aware of the reasons behind Kaltenborn's absence from the Sakhir paddock—took a far more sympathetic view. That sympathy didn't extend to the track on Saturday as Felipe Nasr, who claimed two top-six finishes for the team in 2015, qualified last—five positions and 1.5 seconds adrift of Ericsson, who was beaten to 16th place by Pascal Wehrlein of Manor, the perennial backmarkers. Per Kravitz, Nasr was so distressed with the handling of his car that he urged the team to remove it from parc ferme after qualifying and effectively rebuild it ahead of the grand prix, when the Brazilian planned to start afresh from the pit lane. The request was rejected, and in a race when points were potentially on offer to anyone who evaded the chaos of the opening laps, Ericsson and Nasr finished 12th and 14th, respectively, as their mechanics sat cross-legged on the garage floor. As reported by Autosport's Lawrence Barretto, Sauber's participation in the upcoming Chinese GP was only assured after securing an advance payment from Ericsson's sponsors, with the deal explaining Kalterborn's disappearing act in Bahrain and allowing the team to pay their employees' full salaries for March, having failed to pay the wages on time for a second consecutive month. Financial concerns and a general lack of competitiveness on track have been recurring themes at Sauber ever since BMW's withdrawal from F1 at the end of 2009. But in their current state, have the team ever looked so insignificant, so purposeless, so worthless? 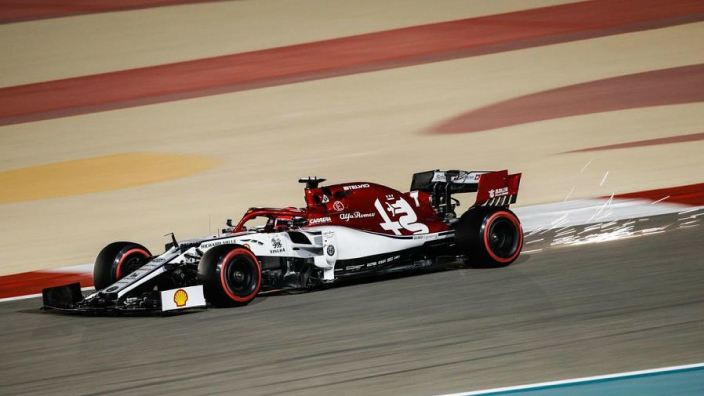 Once a proud sister team of Ferrari and a training ground for future grand prix winners and world champions, Sauber are now the Scuderia's distant cousins as Haas—the vibrant new kids on the block—have instantly snatched their status as the Prancing Horse's B-team. Potential Ferrari drivers, including Grosjean and Esteban Gutierrez—who after leaving the Swiss team in 2014 spent last year as Ferrari's reserve—are far more likely to race in the colours of Haas, with Sauber, previously the epitome of a punchy midfield team, now trapped in survival mode. To some extent, Sauber's loss of identity has been a direct consequence of Haas' strong start to life in F1, and should the team make it through this year—a huge challenge considering their difficulties in reaching the third round of a 21-race season—it would be no surprise if the team underwent a transformation in time for 2017. With chairman Sergio Marchionne telling Italian publication Gazzetta dello Sport (h/t Motorsport.com's Noble) of his desire to see an Alfa Romeo team on the grid, Ferrari may yet find an alternative way of ensuring a refreshed, rebranded Sauber outfit remain relevant to their wider F1 strategy. If the Prancing Horse decide they have one too many stablemates, though, Sauber could find themselves a new home at Honda, with Motorsport.com's Adam Cooper reporting last December that McLaren chairman Ron Dennis had identified them as an ideal B-team for the Japanese manufacturer. Per the same source, Kaltenborn explained that while her team have a "long lasting" and "good relationship" with Ferrari, Sauber "should always keep all options open," and you can only hope those options remain available—and that the team are able to decide their own future—when decision time comes later this year. For while Haas are living the dream, Sauber—part of F1's furniture for so long—have never been in a more precarious position.